This morning across the office I overheard the words ‘that’s grand int’it! ?’ from our resident BackupAssist technical guru. I can assure you this doesn’t happen often and roughly translated from Yorkshireman-speak, is a resounding seal of approval for the new Exchange Granular Restore ‘direct injection’ feature in BackupAssist 7.3. 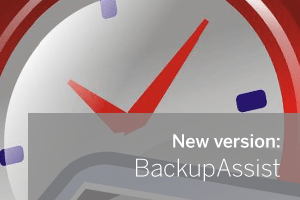 This great new version went live today (download here), and makes it possible to select any backup that contains an Exchange database, open and browse individual mailboxes and preview the contents of emails, contacts, notes, tasks and appointments. The clever bit is that the console can then be used to re-import this specific data directly to any user mailbox on an Exchange Server, even if it’s not on the same domain! Yep, they’ve done a great job with this release Paul. Particularly impressed with the connecting to remote Exchange servers bit – they can be on a different domain without needing authentication which is pretty clever stuff.